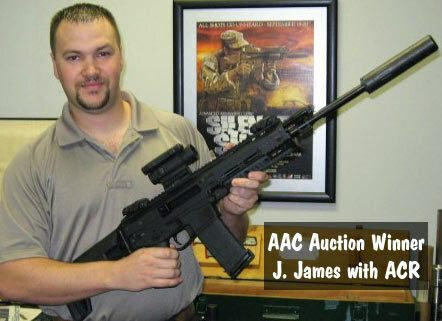 What may be the very first production, civilian Bushmaster Adaptive Combat Rifle (ACR) was presented to Florida shooter J. James, who was the winner of an Advanced Armament Corp. (AAC) silent auction for the rifle (with AAC silencer). 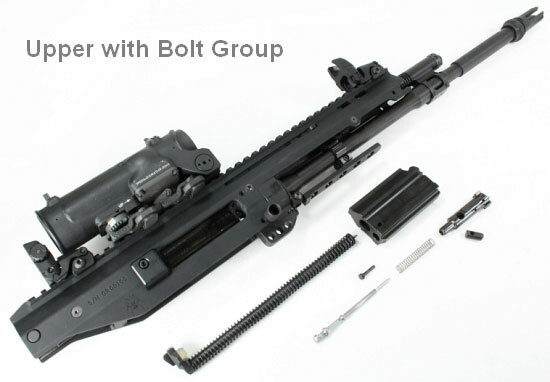 AAC was recently acquired by Remington Arms Co. as a Cerberus Freedom group company, along with Bushmaster. That’s how AAC got its hands on the first civilian ACR. 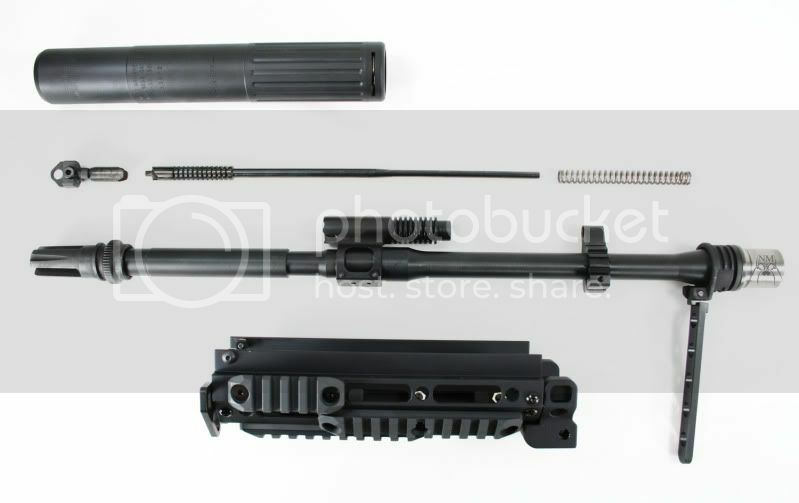 The upper receiver is stamped S/N GR00100 and “MODEL – BACR”. 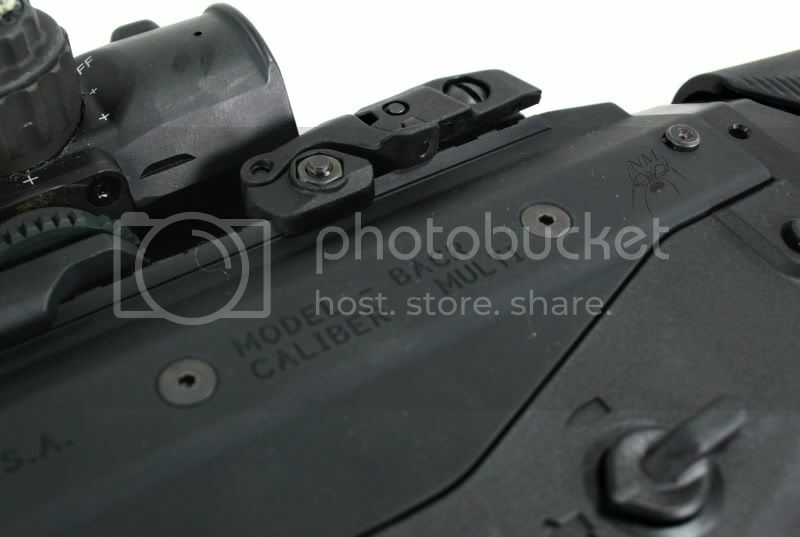 Interestingly, the rifle is also stamped “CALIBER – MULTI”. 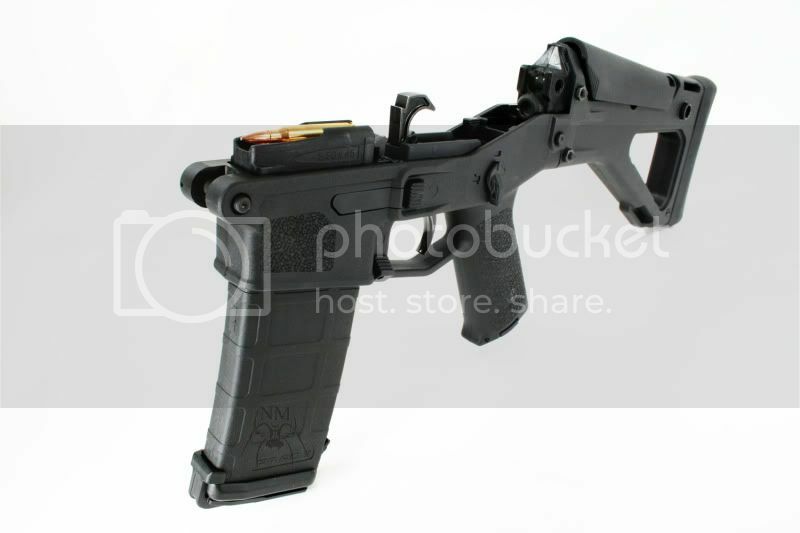 Everybody has been clamoring for photos of the actual production version of the ACR. Well, here they are. 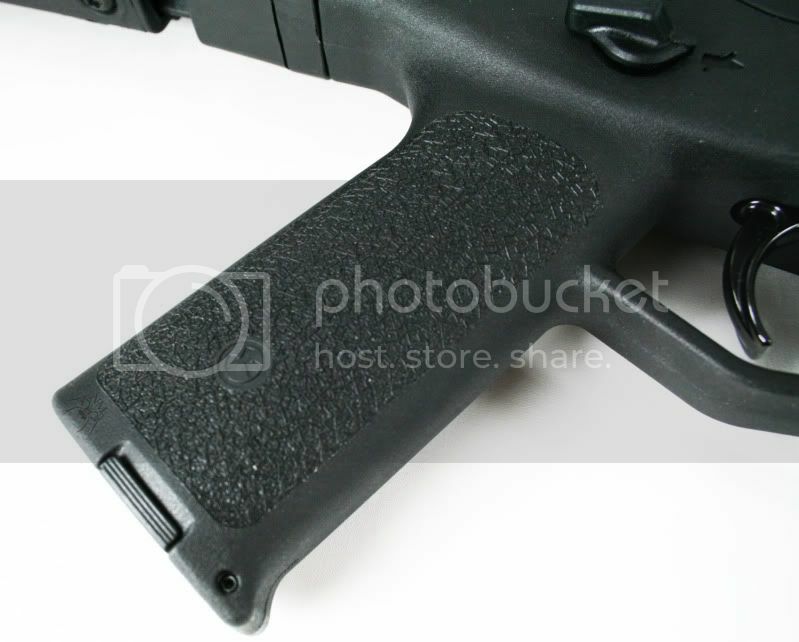 James had the weapon professionally photographed, and posted the images on Photobucket.com and AR15.com. 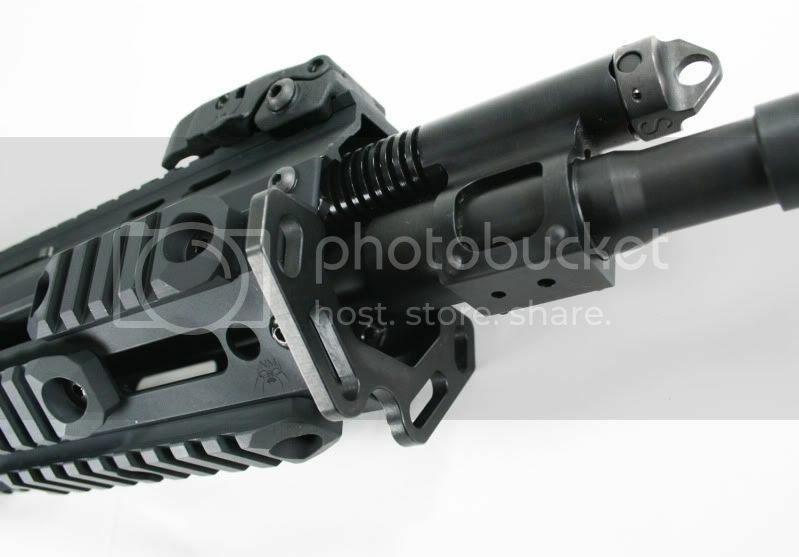 The new ACR features a 16″ barrel with m4 profile. A 4th Generation rail system offers removable Picatinny rails. 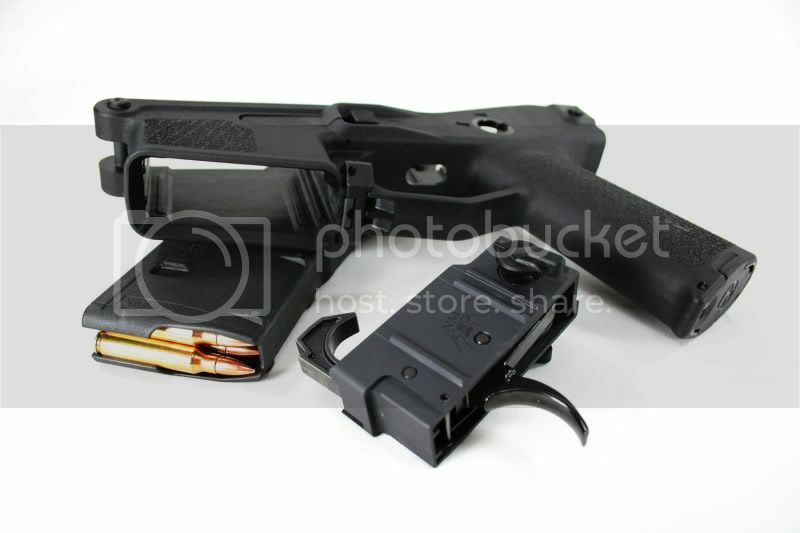 James’ gun came with two (2) stocks, both the new-style, spring-lock folder and the fixed stock. 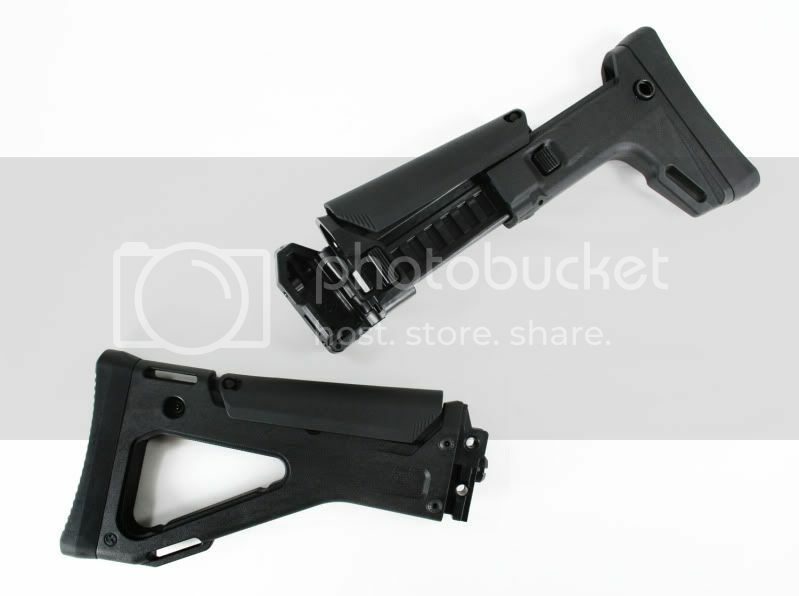 The charging handle is ambi-dextrous and can be flipped left or right, as well as up and down. James reports that the ACR exhibits good fit and function. He says the trigger is “100% better than the SCAR” and is very crisp. 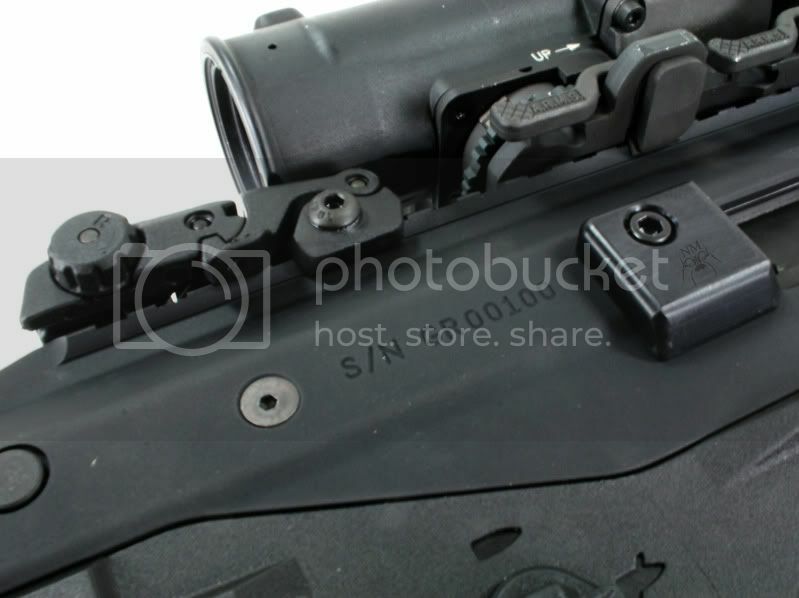 Share the post "Remington/Bushmaster ACR Debuts in Black Livery"
We just spoke to Bryan at Powder Valley. 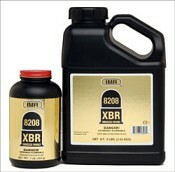 He confirmed that right now (0800 PST, Friday, Dec. 18th), Powder Valley has some IMR 8208 XBR on the shelves. All the 8-lb jugs are sold out, but Powder Valley still has roughly 100 1-lb bottles of IMR 8208 XBR. The price is $19.00 per pound, PLUS haz-mat and shipping. Those interested in trying this promising new powder should contact Powder Valley immediately. Log on to powdervalleyinc.com or call (800) 227-4299. If you want this powder, then act quickly. It may sell out within a few hours. Share the post "Powder Valley has IMR 8208 XBR Right Now"